We Restring: Blinds, Shades, Cordless, Top Down Bottom Up. Mini Blinds, Venetian Blinds, Roman Shades, Sun Screen Shade. same rate. Meaning, when one string breaks, the other will follow pretty soon. 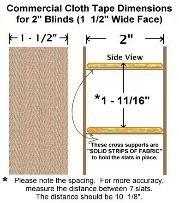 Retape cloth blinds, Retape ladders. Replace tilt wand. Replace cord lock, brackets. Repair Levolor cordless shades and blinds. Provide Levolor parts. understand the many nuances of this specialty repair. to make sure they operate smoothly again..
OR Ship Your Blinds to us for repair. Does your window look like this?! prove why our customers are smiling every time they look out the windows. 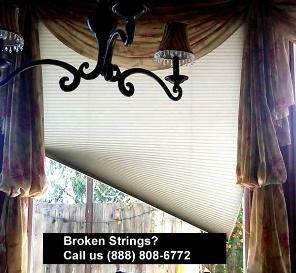 So if your window coverings are broken, you are missing out on lots of the benefits above!